With more than 120 years of experience, Blythedale is a nationally recognized leader in developing innovative, multidisciplinary inpatient programs. 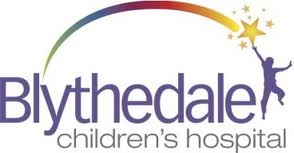 As one of only 19 pediatric specialty hospitals in the United States, Blythedale has the combined staff, expertise and resources – including the largest pediatric therapy department in New York State – to provide exceptional comprehensive care for medically complex children and support for their families. We were the first hospital in the United States to develop a post-NICU/PICU program and we are New York State’s only children’s hospital with its own K-12 public school district on site. In addition, we have received numerous awards and recognition for positive outcomes related to patient safety. Planning for discharge home begins upon admission. Our goal is to help our patients return to their families and communities. We have approximately 25,000 inpatient admissions each year and our 200+ specialized clinical programs schedule 557,000 visits annually. Last year the hospital performed more than 26,500 surgical procedures and 158,700 radiological examinations. Our team of physicians and nurses has been recognized by a number of independent organizations for overall excellence and we’re proud to share some notable examples with you here. We’re the #1 children’s hospital in the nation for, according to U.S. News & World Report. 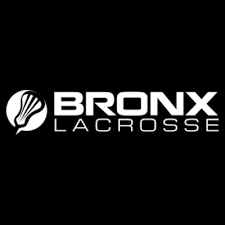 Our mission is to improve educational and life opportunities for underserved students in the Bronx through lacrosse. Bronx Lacrosse is not just a sports team. We are a full year academic program meant to empower youth in the classroom and on the field. Bronx Lacrosse players are led by their on-site coach, who is a teacher at their school. The team meets multiple times a week for lacrosse related activities and has in classroom tutoring sessions led by their teacher/coach. We inspire hope in families affected by life-threatening childhood illness through our unique, supportive program at our beautiful campus on Maine’s Sebago Lake. When a child faces serious illness, the entire family is impacted. Camp Sunshine’s mission is to provide respite and support to each family member – children, siblings, and parents. Since its inception, Camp Sunshine has offered comfort, hope, and support to over 43,500 individuals from 48 states and 23 countries. Camp Sunshine is currently the only full-time facility in the nation whose sole purpose is to provide respite for the whole family. The families who come to Camp Sunshine have children diagnosed with cancer, hematologic conditions, renal disease, systemic lupus erythematosus, and who have undergone solid organ transplantation. They attend illness-specific sessions of varying lengths where they have the opportunity to solidify and renew their relationships while meeting others facing similar challenges. Bereavement programming is also provided for families who have lost a child to the illnesses served at Camp. Recreational activities allow children and adults to relax and enjoy the simplicity and beauty of life along the pristine shores of Sebago Lake. Games and other events foster family involvement, encouraging joy and laughter. While at Camp Sunshine, each family stays in their own suite, equipped with two twin beds, bunk beds, a futon, full bathroom, microwave oven, and refrigerator. Mealtimes in our dining room are occasions for socializing and unwinding. 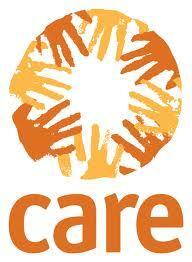 All families are sponsored by generous individuals, civic groups, corporations, and foundations. To learn more about sponsoring a family and other ways of supporting Camp Sunshine, please visit the giving section of this website. Onsite professionals are available to support the medical and psychosocial needs of families attending Camp. A physician is available 24-hours a day throughout each session. 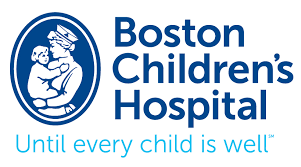 In addition, a state-of-the-art children’s hospital is only 40 minutes from Camp, and an urgent care center and community hospital with fully staffed emergency rooms are 20 minutes away. Moderated support groups are provided during Camp Sunshine sessions and are tailored to families’ needs. These sessions are often the first opportunity family members have had to share their experiences with others in similar situations. The groups provide a forum in which family members can gain insight and support in dealing with illness-related issues. Camp Sunshine relies on more than 2,500 volunteers annually, many of whom return year after year. The volunteers serve as camp counselors, and work in many areas of the program, including food service, arts and crafts, waterfront, and a variety of other activities. The majority of volunteers stay onsite and are provided with similar accommodations. To learn more about volunteering, please visit the volunteer section of this website. Don't see a charity listed here that you would like to support? Simply contact us above and we will have it added in under 24 hours!